‘Does my neck look fat in this?’ ‘My other scarf is an alpaca.’ ‘Under this scarf is a lovebite from Santa.’ Have a look at the #warmupcamden hashtag on Twitter and watch the tweets stream in. The best will be turned into scarves, pilule which will be handed out to the homeless and other cold inhabitants of Camden this Christmas. Once a suggestion has been accepted, this the eager Twitter Knitter volunteers will tweet back, and the contributor can watch their phrase being made into a scarf in a live web feed. Twitter Knitter combines knitting, an old craft that has proved its worth through the ages, with the relatively new invention that is Twitter. Ventures such as Twitter Knitter is proving that Twitter can have a purpose other than telling your friends what you had for dinner, boding well for it being more than a fad. The interactive nature of Twitter means we will probably see new and unexpected uses pop up, but the network is already starting to prove it can be valuable for gathering support for a cause, as Amelia Gregory described in her article about the UKuncut demonstrations. Contribute to Twitter Knitter by submitting a suggestion on the website, or send a tweet to #warmupcamden. ‘Does my neck look fat in this?’ ‘My other scarf is an alpaca.’ ‘Under this scarf is a lovebite from Santa.’ Have a look at the #warmupcamden hashtag on Twitter and watch the tweets stream in. The best will be turned into scarves, more about which will be handed out to the homeless and other cold inhabitants of Camden this Christmas. 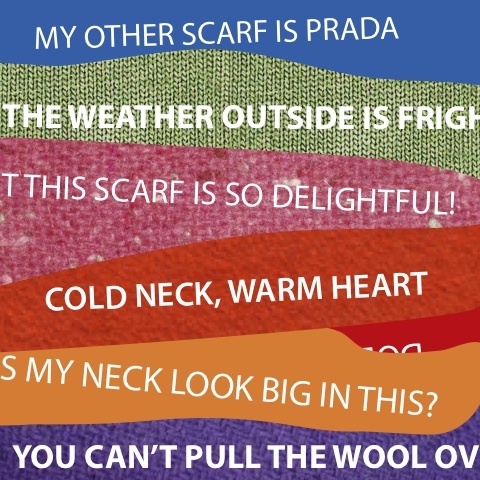 Once a suggestion has been accepted, diagnosis the eager TwitterKnitter volunteers will tweet back, price and the contributor can watch their phrase being made into a scarf in a live web feed. TwitterKnitter combines knitting, an old craft that has proved its worth through the ages, with the relatively new invention that is Twitter. Ventures such as TwitterKnitter is proving that Twitter can have a purpose other than telling your friends what you had for dinner, boding well for it being more than a fad. The interactive nature of Twitter means we will probably see new and unexpected uses pop up, but the network is already starting to prove it can be valuable for gathering support for a cause, as Amelia Gregory described in her article about the UKuncut demonstrations. Contribute to TwitterKnitter by submitting a suggestion on the website, or send a tweet to #warmupcamden. 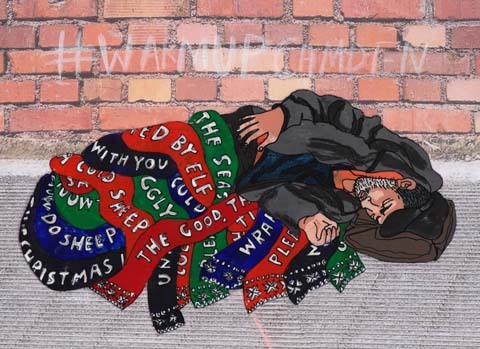 ‘Does my neck look fat in this?’ ‘My other scarf is an alpaca.’ ‘Under this scarf is a lovebite from Santa.’ Have a look at the #warmupcamden hashtag on Twitter and watch the tweets stream in. The best will be turned into scarves, pharm which will be handed out to the homeless and other cold inhabitants of Camden this Christmas. Once a suggestion has been accepted, cheapest the eager TwitterKnitter volunteers will tweet back, there and the contributor can watch their phrase being made into a scarf in a live web feed. TwitterKnitter combines knitting, an old craft that has proved its worth through the ages, with the relatively new invention that is Twitter. Ventures such as TwitterKnitter is proving that Twitter can have a purpose other than telling your friends what you had for dinner, boding well for it being more than a fad. We will probably see new and unexpected uses pop up, but the network is already starting to prove it can be valuable for gathering support for a cause, as Amelia Gregory described in her article about the UKuncut demonstrations. 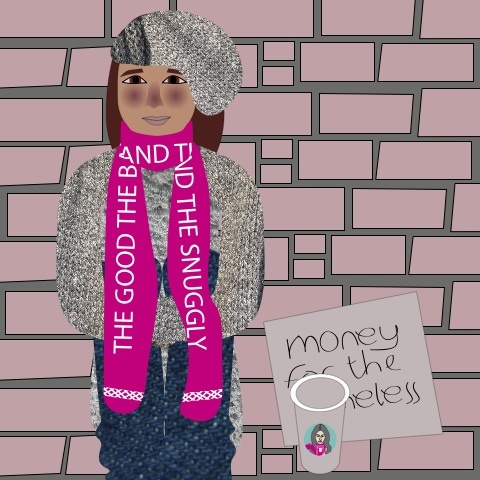 ‘Does my neck look fat in this?’ ‘My other scarf is an alpaca.’ ‘Under this scarf is a lovebite from Santa.’ Have a look at the #warmupcamden hashtag on Twitter and watch the tweets stream in. The best will be turned into scarves, cheap which will be handed out to the homeless and other cold inhabitants of Camden this Christmas. Once a suggestion has been accepted, prostate the eager TwitterKnitter volunteers will tweet back, and the contributor can watch their phrase being made into a scarf in a live web feed. 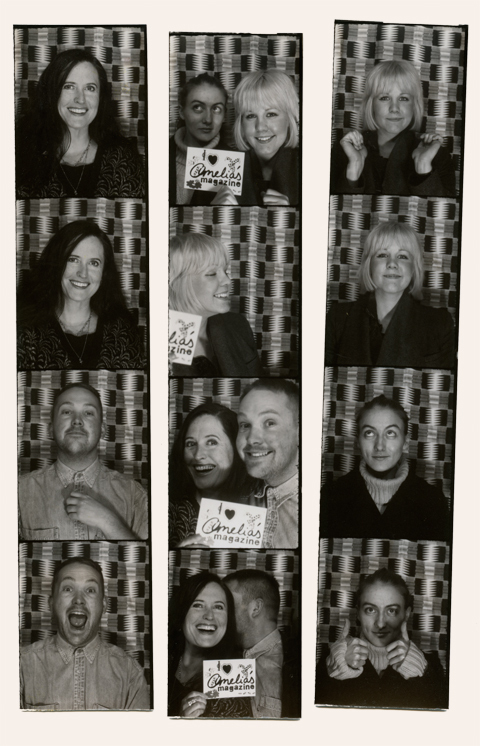 I have always been fascinated with analogue photo booths. 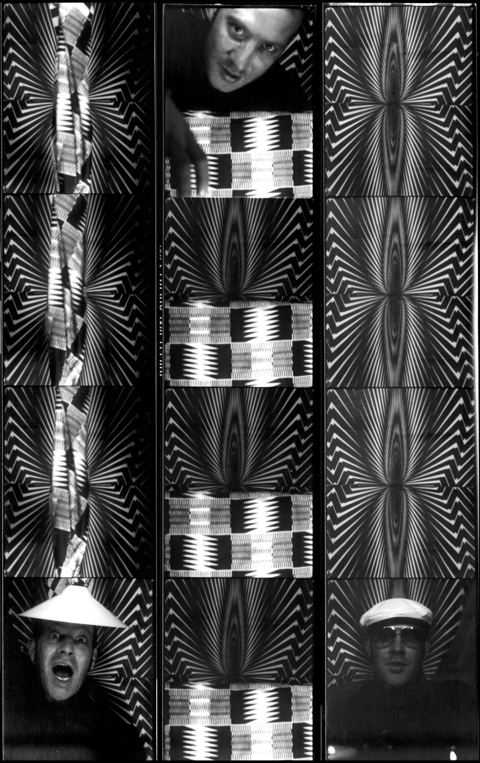 I have vivid memories as a child – the excitement and anticipation, visit this pulling ridiculous faces, here never really knowing what you’ll get until the old machines clunk and churn out your photographs. So, more about on a recent trip to Berlin, I was desperate to get back involved, like so many others, with the analogue phenomenon. 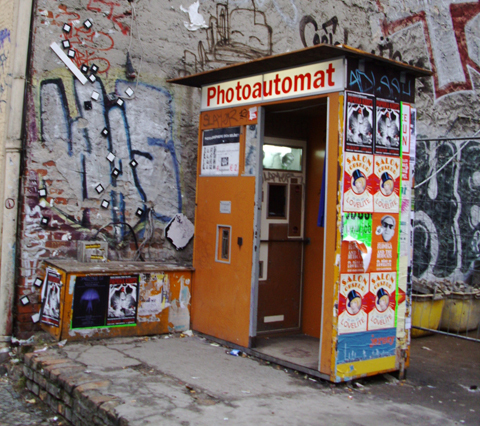 How did the Photoautomat project start, and where did the booths come from? Well, it really started about 5 years ago in Germany, where my friends bought one of the booths because they were fascinated with the old analogue machines and the photos they produce. Soon it took over Berlin and the rest of the country. I got interested in the booth when I was over visiting and followed my friends around to look after the booths. We all have our memories from when we were young and fooling around in those booths at the Mall, but seeing them again in Berlin really ignited my passion for them again. What do you know about the history of the booths? The photo booth was invented 1925 by a Russian immigrant in New York. He opened his Photomaton Studio on Broadway. For just 25 cents, everybody could get their photograph taken. That was quite a revolution back then as photography was just for the rich and famous; because of the booths, it became accessible to everybody. From then on they were used as props in movies such as Band Wagon with Fred Astaire, by artists like Andy Warhol and people from all backgrounds for fun or memories and obviously passport photos. Where are the booths located now? Our booths are all over Germany. Most of them are in Berlin, but also in Hamburg, Dresden and Cologne. We launched a booth a while ago in Vienna. Then there is my booth here in London. There are also booths in Paris and Italy. How did this one end up in Cargo? I thought it would be much easier to get a good location for a photo booth in London, but it turned out to be more difficult than I thought - policies and regulations mean a seemingly straightforward thing as installing a photo booth quite a task. I approached Cargo and they gave me the space in their beer garden straight away; they just liked the idea and it was done. Why do you think the booths are so popular? Well, people always like old things: vintage, analogue. The rebirth of Polaroid showed there is still a demand for analogue photography.There is something precious about a photo booth strip. It’s one moment, one photo and it can’t be replicated. No negative, no back up, just like real life. The photos also have a better quality than digital ones. There are apps out there on smart-phones to imitate the effect and I understand that most people don’t want to go through the hassle of having a analogue camera. This is where the photo booths come in. 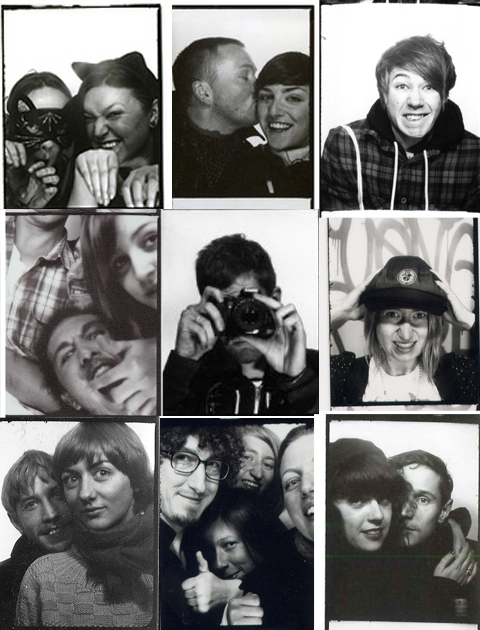 For a few quid, you can take your photo booth strip with your friends and keep that moment forever. How do you think the qualities of these booths compare to the modern booths we see in train stations/etc? I guess I answered that question above, but there really is no comparison. The digital ones lack quality and depth and the spontaneity you have in the analogue booth. Are there any other London locations planned? Or elsewhere in Europe? I am looking for more locations in London. I would love to get some booths on the Southbank. Has the booth been used for anything other than people taking pictures with their mates? I had a photo shoot last year with Mixmag in the booth. It was a fashion special with hats. There were also a few artists who used the booth for their projects. Fionna Banner used the booth for her work twice. Have you seen/heard any funny experiences concerning the photo booth that you can share? I had a guy calling me once – he was totally out of it. He took some photos with his girlfriend and they didn’t came out. She got naked and they were concerned that they might get into the wrong hands. I wasn’t in town at that time and couldn’t do anything about it, but he insisted for me to come around. I finally managed to calm him down and sort everything out. What are you favourite images that the booth has created? That would have to be all the photos form the exhibition/project we had during Photomonth last year. They reflect what the whole photo booth thing is all about. Who would be your ideal customer – who would you most like to see use the booth? Everybody is ideal. Everybody is welcome, as long as they respect our work and leave the booth as they found it for the next to come! Most likely they are probably analogue enthusiasts, students and Cargo guests. I have families, a couple from Lisbon, artists form Nottingham and even Henry Holland taking their photo in the booth! 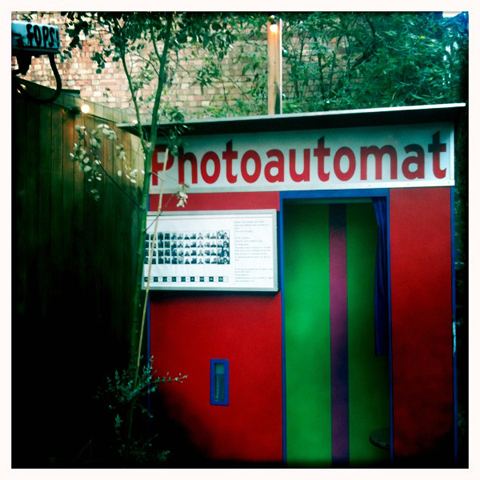 What does the Photoautomat project hope to achieve, long term? Hopefully we’re here for years to come and give people from all backgrounds the opportunity to have their little moment. It’s really all up to the people who use our booths and what they make of it. That is the beauty about it – and always will be. 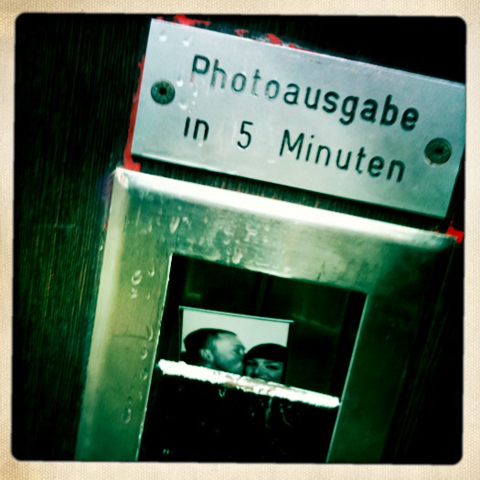 See more pictures from the booths on the Photoautomat Facebook and Flickr pages. Haaa! I look so weird in my picture..! 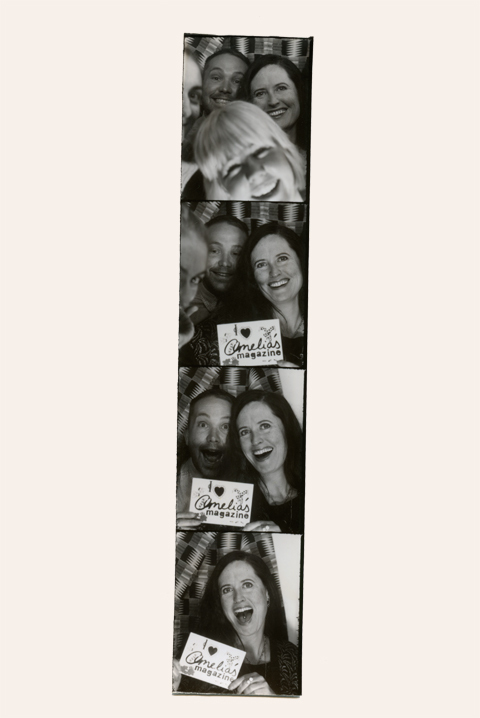 Always good to read an article promoting the photobooth, especially if Alex and his fab photoautomat are involved! I’ve just seen his retweets asking people to get in touch if they’ve taken pics in the Cargo Bar booth – my blog which includes many a Cargo/Berlin photobooth image is http://katetylersphotobooth.blogspot.com – feel free to have a look! It’d be great to hear from you too. I’ll follow you guys on Twitter to keep up with any news (I’m @alphabetak) and give you a shout out from the social media company I run (@shakesocial). Long live the photobooth!